8 Akad. Ivan Buresh Str. New generation Radio Frequency, which is not so long and results are visible. Pay 4 procedures with 10% discount. Laser Hair Removal 75% off for the first procedures. You can advantage from Laser Tattoo Removal. 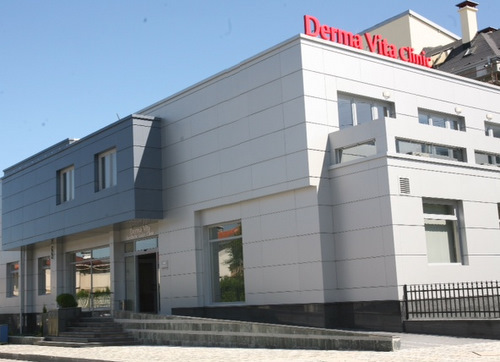 Derma Vita is a leading clinic for laser and aesthetic dermatology in Bulgaria, which has been investing in new technologies and methods for over 10 years. 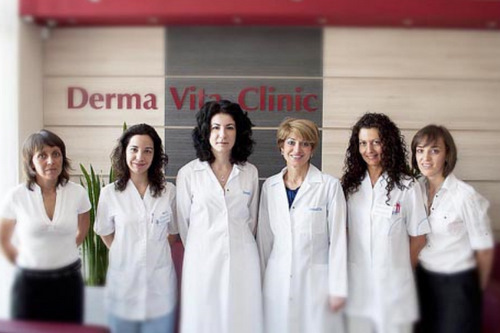 The Derma Vita clinic offers almost everything that the contemporary aesthetic dermatology has to offer, including all kinds of laser treatment procedures. The most modern of those is TattooStar Effect R, which is a kind of the so called Q-switch lasers for removal of tattoos and benign pigment lesions. We also perform procedures for treatment of rosacea and dilated blood vessels on the face or legs. The clinic also has different technologies for active acne treatment and acne scars removal. Unpleasant wrinkles are treated with botulinum toxin and dermal fillers and from quite recently we started to perform a new procedure, called plasmotherapy with PRP (Platelet Rich Plasma). We also offer laser and photorejuvenation, laser and photoepilation, radiofrequency lifting (ThermaClinic), laser and surgical removal of some moles and other benign lesions. Here you can find some of the best body treatments – Acoustic waves and radiofrequency (ThermaLipo) help in cellulite removal and body contouring; vacuum-infrared system is preferred for remodeling of the body and reduction of circumference. We also have a great variety of chemical peels which treat different skin problems, as well as different kinds of mesotherapy – for deep hydration, cellulite and hair loss. EXILIS – unique patented technology for liposuction, lifting and young skin. During the procedure there are controlled tissue heating associate with high effect, safe and full control. ThermaLipo – a real technological breakthrough in orange skin removal. Fat accumulation areas are melted thanks to the popular radiofrequency waves in their most refined version. This unique bipolar system focuses radiofrequency energy over treated areas for maximal efficiency. Low frequency radiowaves are strong enough to penetrate deep and heat up the tissues for optimal lymph vessels drainage. ThermaClinic is a safe, clinically tested system for facial wrinkles treatment, tightening and overall strengthening and rejuvenation of the skin. This procedure is based on the unique AMFLI technology /Automatic Multifrequency and Low Impedent Radiofrequency/. The Acoustic Waves Therapy for body shaping and cellulite reduction is impressively efficient. It increases the permeability of the cell membranes without destroying the fat cells. Their metabolism gets stronger, and their volume and, respectively, their girth decrease. It is proven that they affect the major elements of cellulite – the dimpling effect of the skin caused by fat depots and fiber structures that surround them. It stimulates actively the production of collagen fibers, and rejuvenates the connective tissue components of the skin. It improves substantially the structure of the subdermal layer, restores skin elasticity, and serves to make it smoother. It is an established fact that the influence of acoustic waves leads to neovascularization – the creation of new blood vessels – thus improving the distribution of oxygen. In addition, it reduces swelling, and improves circulation and lymph drainage.